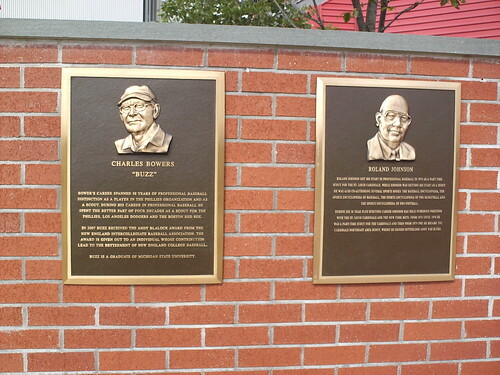 The Professional Baseball Scouts Hall of Fame exhibit outside Campanelli Stadium. 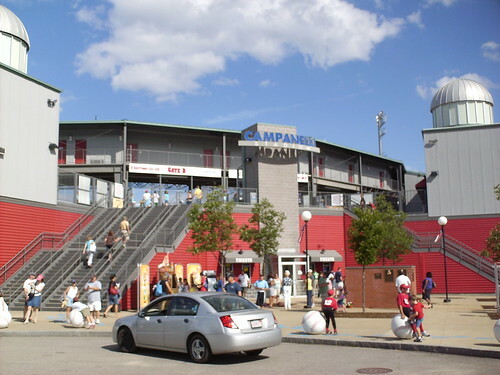 The grandstand and press box at Campanelli Stadium. 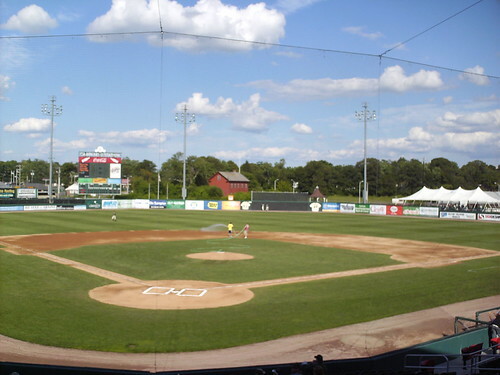 The view from behind home plate at Campanelli Stadium. 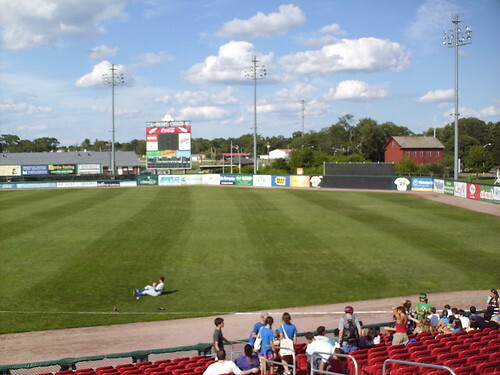 The view from down the first base line at Campanelli Stadium. The retired numbers in center field aren't for former players, but for champion boxers Rocky Marciano (for whom the team is named) and Marvin Hagler. 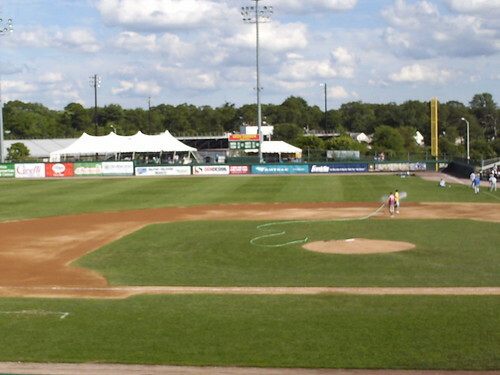 The view from down the third base line at Campanelli Stadium. 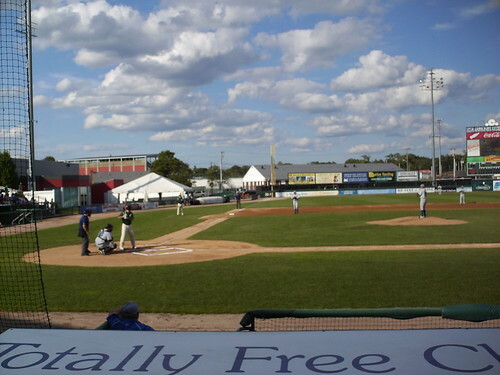 The out-of-town scoreboard in right only shows two scores. The Red Sox and the Yankees. 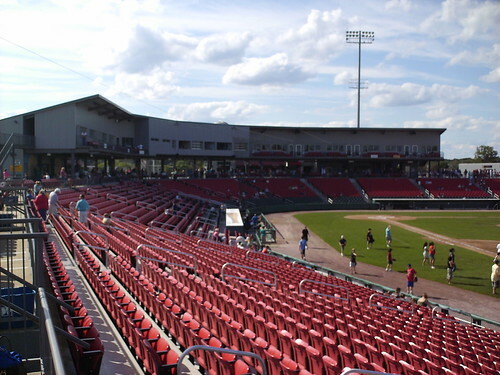 The Brockton Rox at bat during a game at Campanelli Stadium.